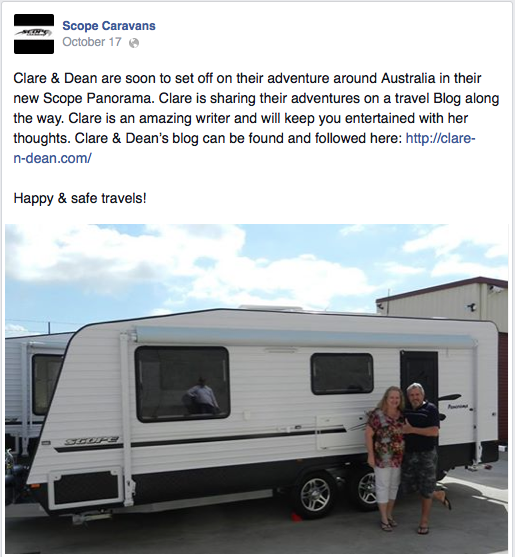 Yesterday I stumbled upon the following on the Scope Caravan’s Facebook page. The photo was taken the day we collected our mini home. A big thank you goes to Steve and Mel for your kind thoughts and (free) plug of our trip blog.